Are Your French Patio Doors Secure? 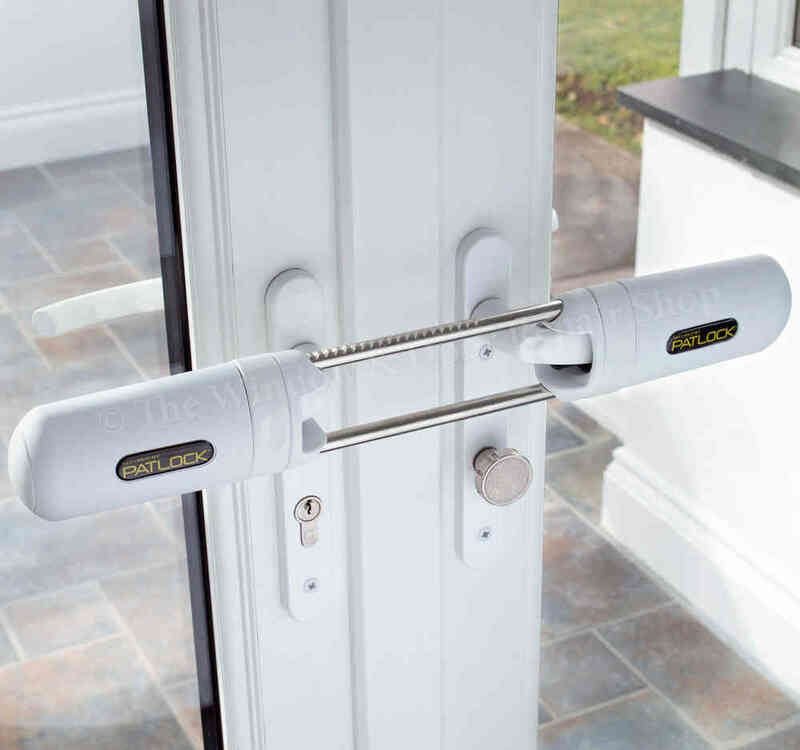 French Patio doors are a lovely feature for your home, but if you aren’t security minded, you could be offering intruders an easy way into your property. So, bearing that in mind, how do you make your French patio doors as secure as practically possible without turning your home into a fortress? Typical problems with keeping your French patio doors secure. Inward opening designs for external doors allow for them to be “kicked in”. It may not actually be a kick, but it’s easier to apply extreme pressure to the doors if they open in. Outward opening doors can expose the door hinges and allow the pins to be removed and the door dismounted for access. 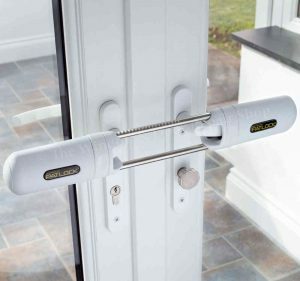 The classic design of having small panes in a grid pattern can allow those panes close to the lock to be broken and the intruder reach inside – (see single cylinder deadbolts). Single cylinder deadbolts, where fitted, need a key on the outside but have a “thumb-turn” latch on the inside. As mentioned above, with the small panes of a classic French patio door, those close to the lock can be broken and the intruder reach in to turn the latch and enter. No Centre post. This means that, unlike a single leaf door, the handles and lock are in the centre and only secure to each other and not into a fixed frame. It’s a scary statistic, but it’s broadly accepted that almost a third of burglaries do not require a forced entry. So, if you are not using the door, even if you are at home, keep it locked. If you are unfortunate enough to be a victim of a home burglary, and there is no sign of forced entry, your home insurers may not pay out if they believe you were negligent in not locking your doors. 2Have at least a 3- point locking system. French doors are usually set up for one to be “the Master” and one to be the “slave”. The master door is the one you open first and can be either the left or right side. Best solution is to have top & bottom dead-bolts or shoot bolts on both doors. At the very least, the slave door should have the bolts because the lock from the master door will have something more substantially secure into which to engage its lock. Modern Composite & UPVC French patio doors are typically fitted with multi-point locks which are purpose built to combat this problem. In terms of the main door lock you should consider a 3 or 5 lever mortise design. If it’s a double cylinder version (key inside & outside) and this door would be a primary route of escape in the event of a fire, you really need to think carefully about where to keep the keys for ease of access in the event of an emergency. Don’t leave them in the lock where a burglar can break the glass and access the key. As mentioned in point b) above, some hinges on outward opening doors can expose the hinge pins. If the pins can be extracted, then the door could be removed. Make sure your hinges cannot be interfered with in this way. Making the glass stronger can be done in a few ways. Firstly, your door should be double glazed, this is many times more resistant to breakage than single glazing. Even if the double glazing is “secondary” it improves security. Building regulations require that tempered glass should be fitted in full length glass doors (where the glazing goes to floor level), but this is not the same as impact resistant glass. It’s going to be costlier to fit, but it’s considerably less east to break. Laminated glass is also highly secure. Burglary generally want to be unnoticed in their activities and it will make a lot of noise and take a long time to try to get through laminated glass. An alternative to lamination is to fit a security film. A good quality glass film (such as 3M) can cause a potential burglar huge problems if they try to break it. Our least favourite option, but a very effective one none the less. Fitting a grill can certainly seriously impede a burglar. However, many folks don’t fit because it can also look unattractive to keep it closed during the day (who looks when they are asleep?). A lot of the security issues can be found in older French doors and not to assess your own situation for potential weaknesses could be costly, in more ways than one. Luckily, modern replacement French doors come with a very good base level of security and require little or no upgrading. 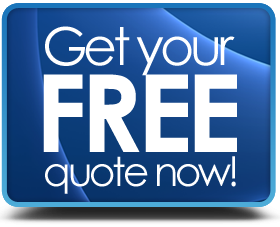 French patio door price guide here. Which Patio door design to choose.